I happen to pass by Two Face when we were looking for another Chinese restaurant which we had our dinner. After dinner, we wanted to find somewhere to sit down and chill so I suggested here since it looks great and it is nearby. We were here only for its drink as we were too full to try out anything. I will be back to try out their food some other time in the future. 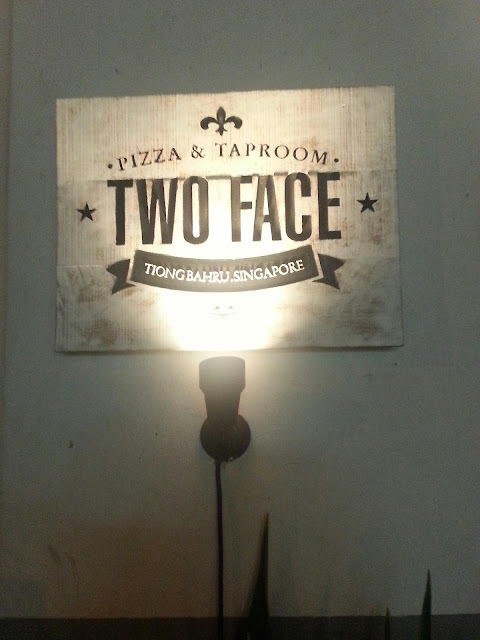 Located at Tiong Bahru’s Eng Hoon Street, Two Face is just like its name, the place has 2 faces. Morning it is operated as Coffee shop which has several hawker stalls including a popular yong tau foo. In the evenings, the coffee shop becomes a Western food-serving establishment. 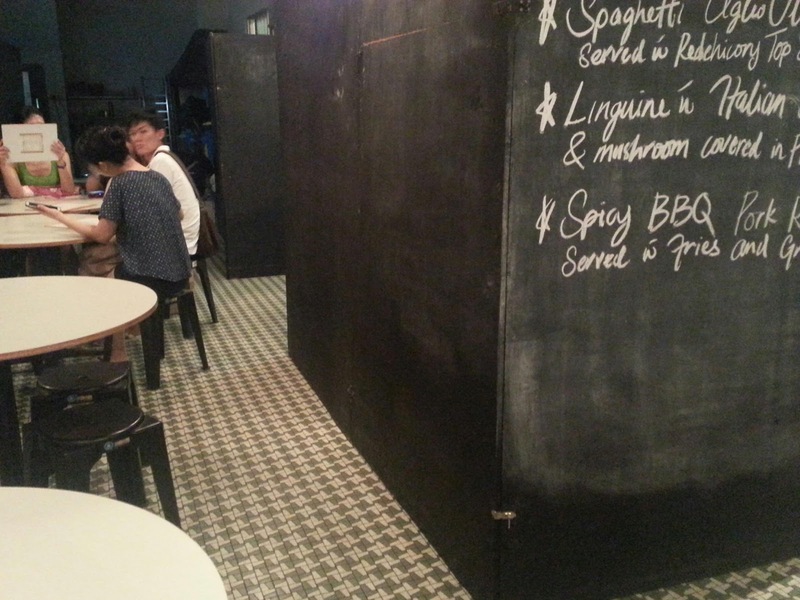 They served pizza and pasta and lots of appetizer. The price here is affordable, you can get your main course below $20. 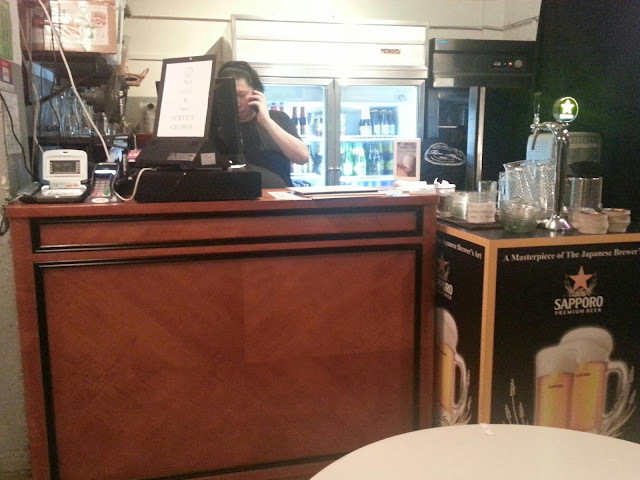 I never been to this coffee shop so I am not too sure how it looks like in the morning, but I guess Singapore coffee shops have the standard setting. This is how they turned night coffee shop to Two Face, they use the black board to surrounds all the stall and wrote their menu on the board. 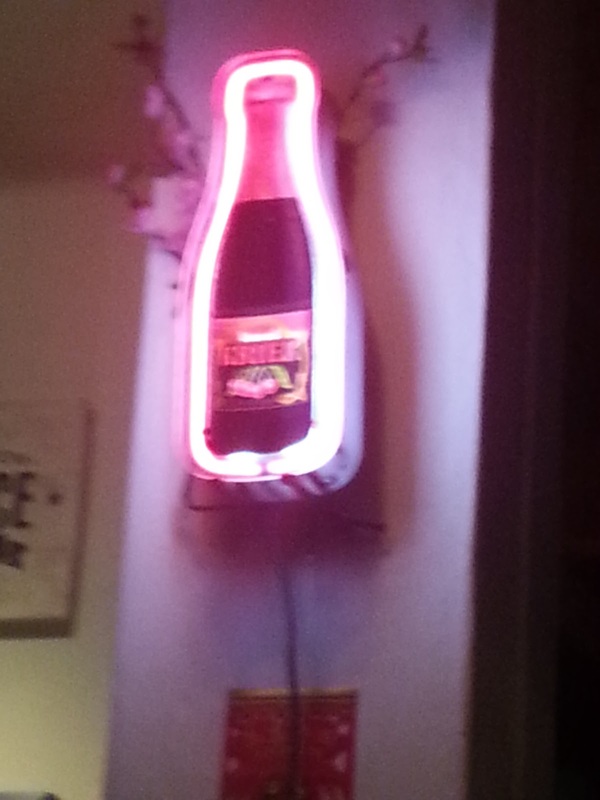 Nice idea to cover the stalls and at the same time promote your cuisines to the customer. 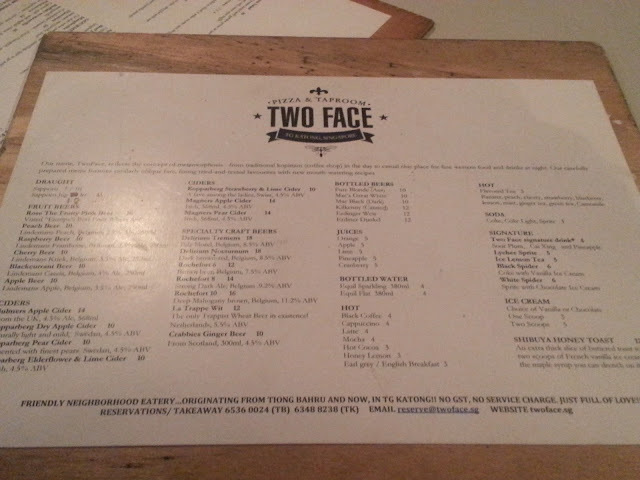 Two Face Signature($4) - made of sour plum, caixin and pineapple. I was attracted by the "caixin", wondering how this vegetable taste when mixed as a drink. 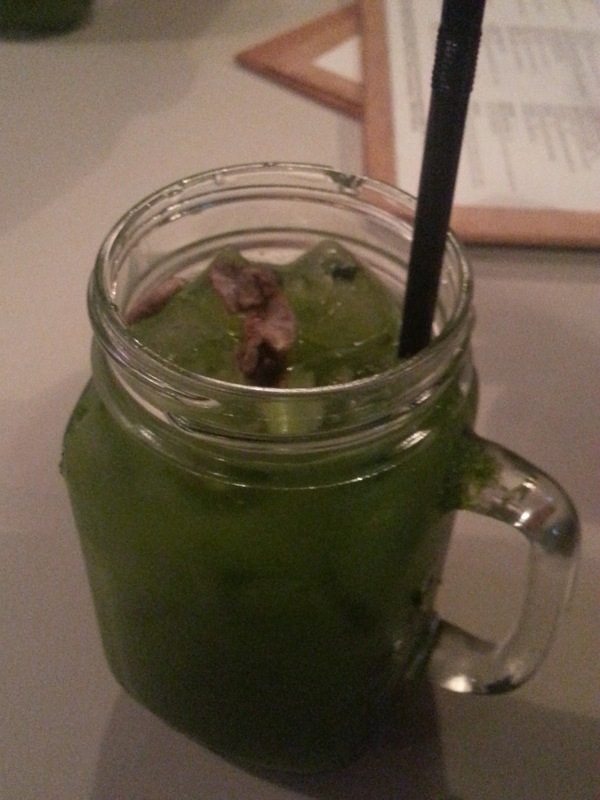 Apparently it tasted very nice, I didn't really taste the caixin but can taste the sour plum and pineapple. 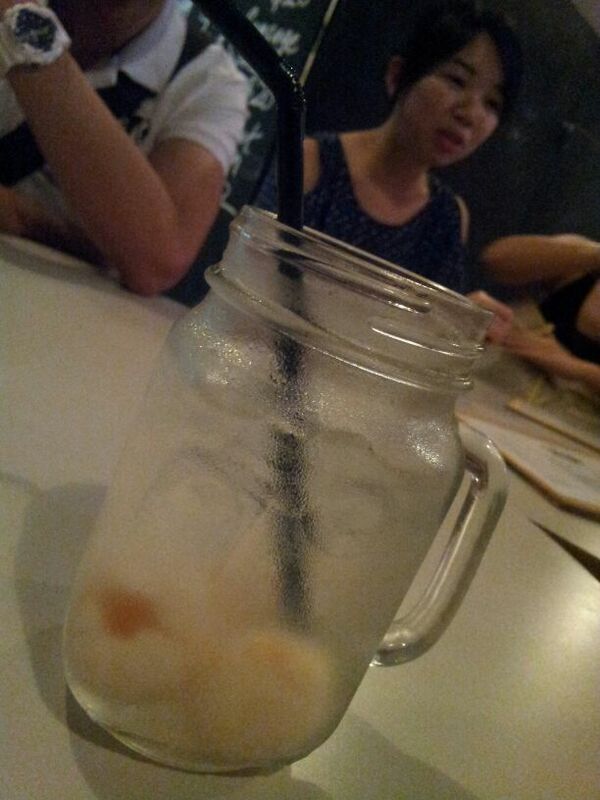 Lychee Sprite ($5) - This is really Sprite + few lychee from the tin that you can buy in supermarket. I have this dessert since young when we have lychee, longan and peach slices from tin and added 7-up or sprite as new year eve dinner's desserts every year. You won't go wrong with the taste, it definitely will be good.